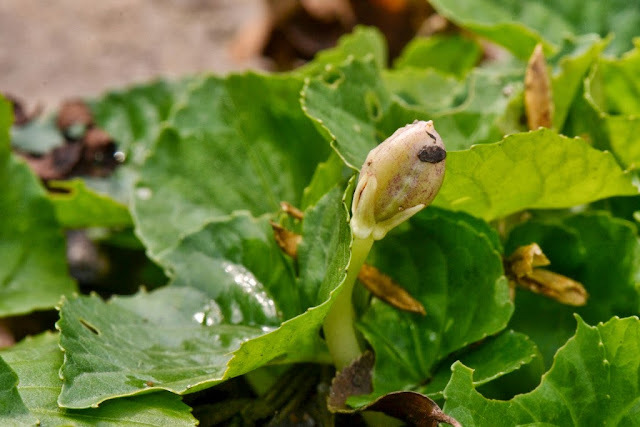 Violets have a ballistic seed dispersal system that I enjoy seeing in action. Whenever I see a that violet seed capsule has just opened, I pause to watch as it launches its volley of seeds. This particular time I was able to grab my camera and take some photos and video as I watched the violet's explosive seed dispersal event. 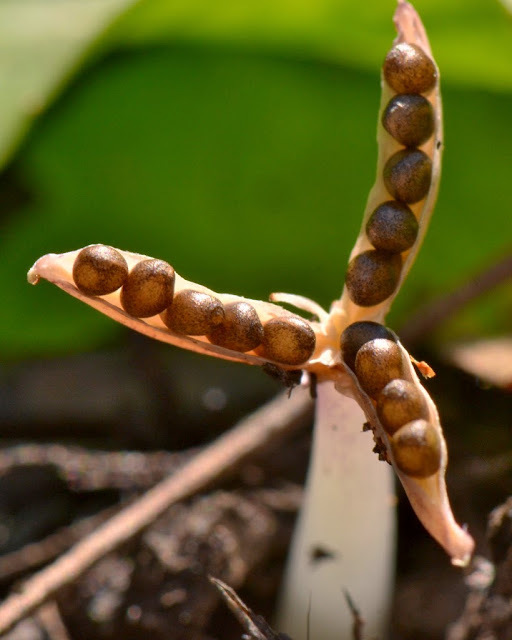 Here is a photo of the violet's recently opened seed pod. Here is a video of violet seed being dispersed... a video of violet's ballistic seed dispersal in action. Watch as one seed pops out on the right... then another from the left. This video of the violet seed dispersal was cut to include just two seeds being shot... Also, I slowed down the speed a bit. 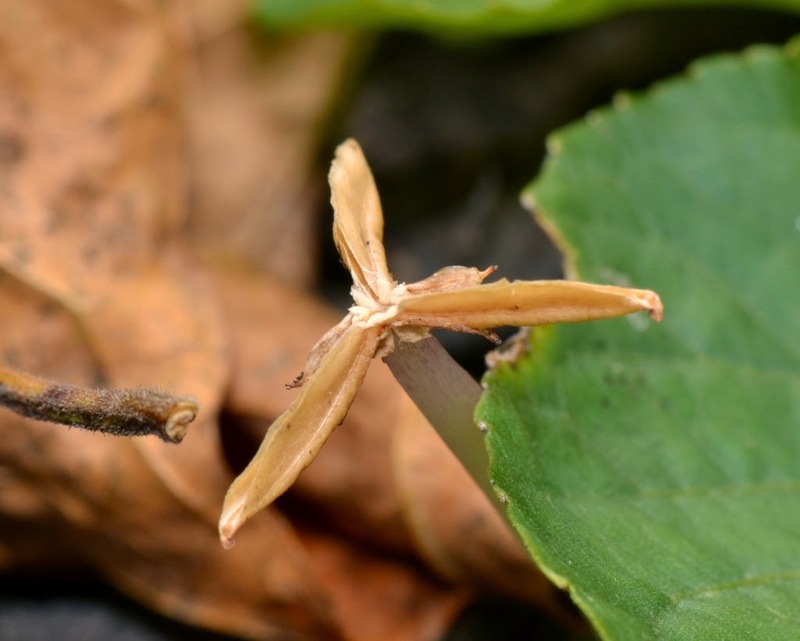 Here is another video of the violet seed dispersal event. The video shows a violet seed being fired, and if you listen, you can hear the seed hit the camera. Here is a series of photos showing violet seed dispersal. 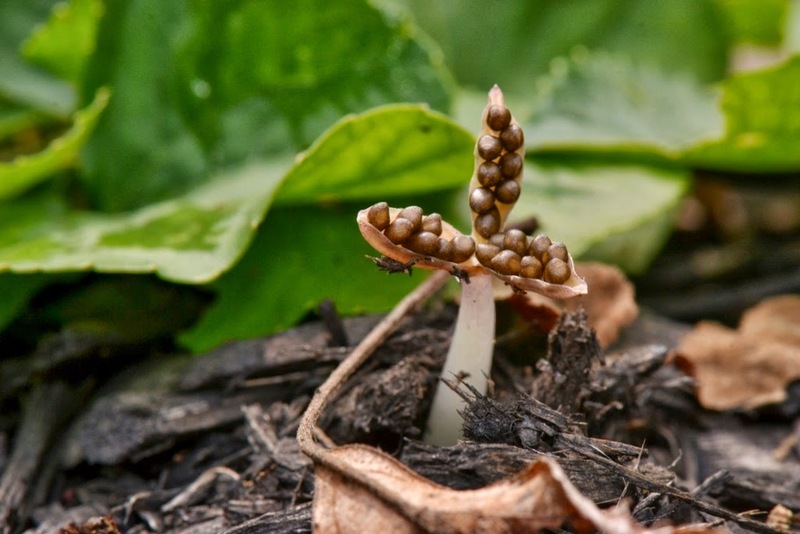 The seed dispersal began soon after the fully-developed seed pod was raised up where where it could dry out in the sun. 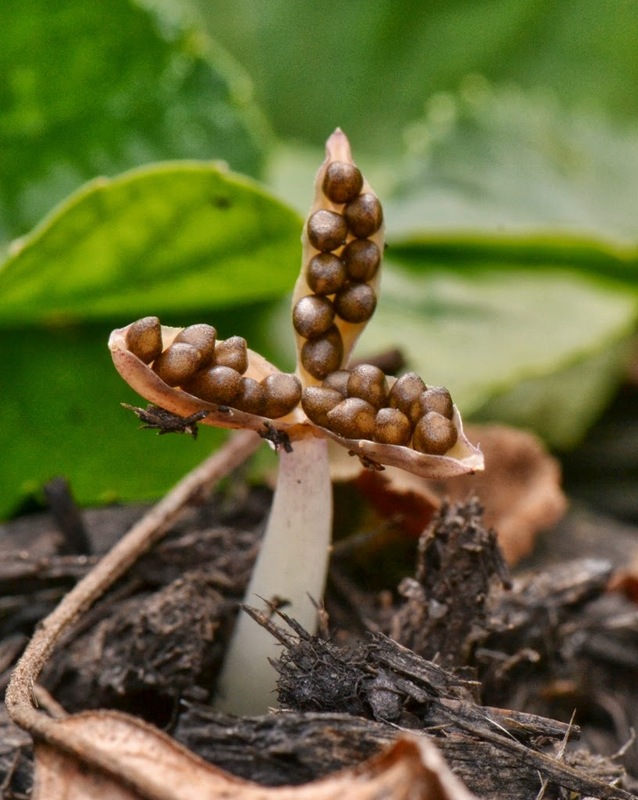 As the violet seed capsule started to dry out, it split open into three boat-shaped sections that revealed the seeds and pointed them toward the sky... ready for launch. 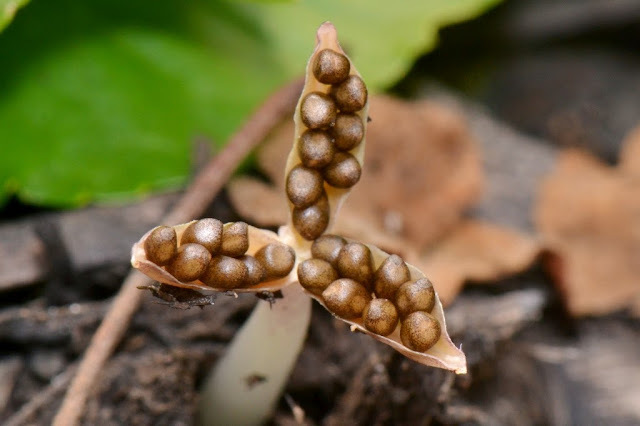 Then, as the seed capsule continued to dry, the seeds were squeezed from both sides of their boat-shaped launch pad until they started popping out. 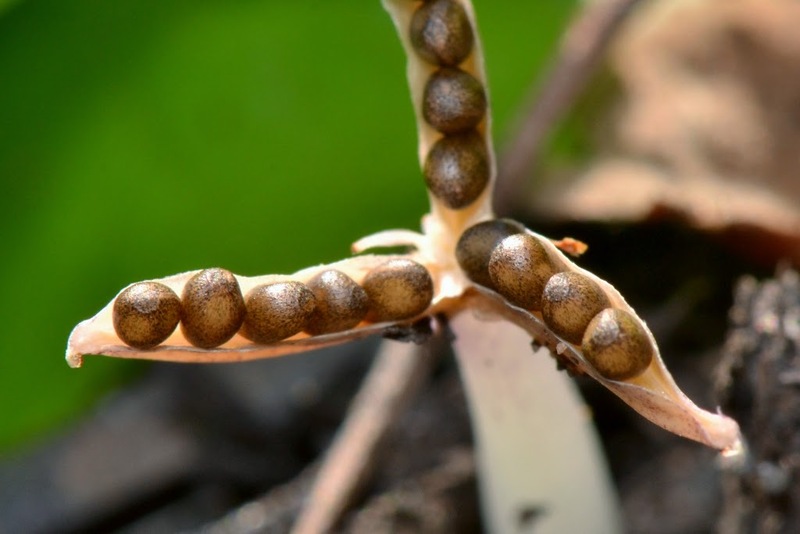 Here is another photo showing the violet seeds part-way through the dispersal event. Here is a photo showing a violet's seed capsule after all the seeds have been shot onto the surrounding landscape. 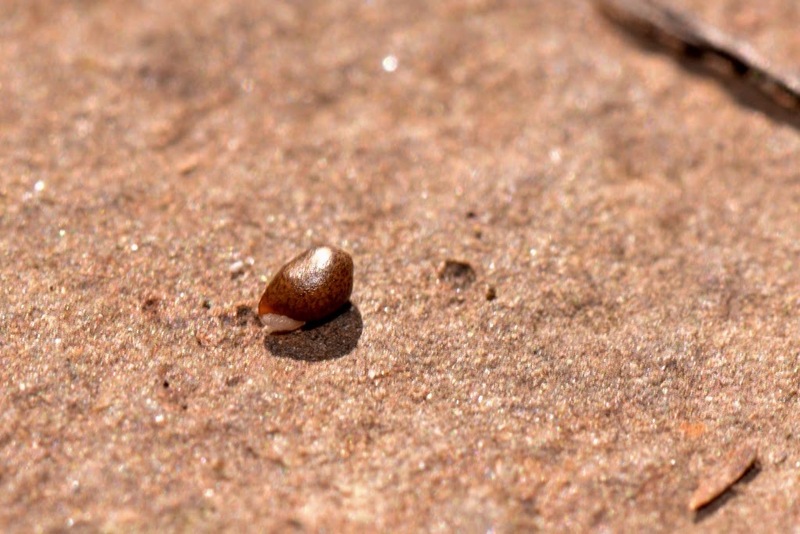 Here is a photo of one of the violet seeds. See the white elaiosome on the left side of the seed? That is ant bait... designed to lure ants into dragging the seed off to their nest. There the elaiosome will be eaten and the seed discarded - well, for the seed that's transporting it to new location and also the convenience of being planted. I don't have a good photo of mymecochory (seed dispersal by ants) in action. Chasing a scurrying ant with a macro lens isn't exactly easy, although I can't say I didn't try... I'll have to wait to post on that until another time I encounter ants transporting the violet seeds (when I have my camera) and, more importantly, if my photos turn out to be acceptable. It's likely this happens in your backyard as well. I hope you have had the privilege of witnessing violet's seed dispersal methods while it happens. Ain't nature grand ! Wonderful pics and videos Dana. "Conehead?" "That's Beside The Point"